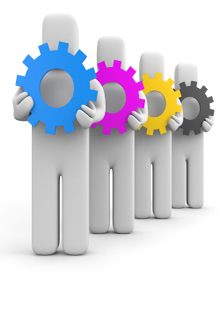 One of our most sought after consultancy services is team development. We predict that this will continue to grow in significance with the development of new teams at different levels across the system. We facilitate a range of development interventions including Board and top team development, along with a range of team working, inter team working, and inter organisational team working at a number of levels. We have developed a team effectiveness audit tool which has been externally validated and used by over 800 teams within health and social care and outside. The Leadership Centre offers a range of services to support executive recruitment. Our consultants have extensive experience in this specialist area and are qualified to use a range of psychometric and assessment instruments. We can manage the overall process or provide a more tailored assistance, depending on the needs of our clients.